Milton in 1850 | There once was a creek . 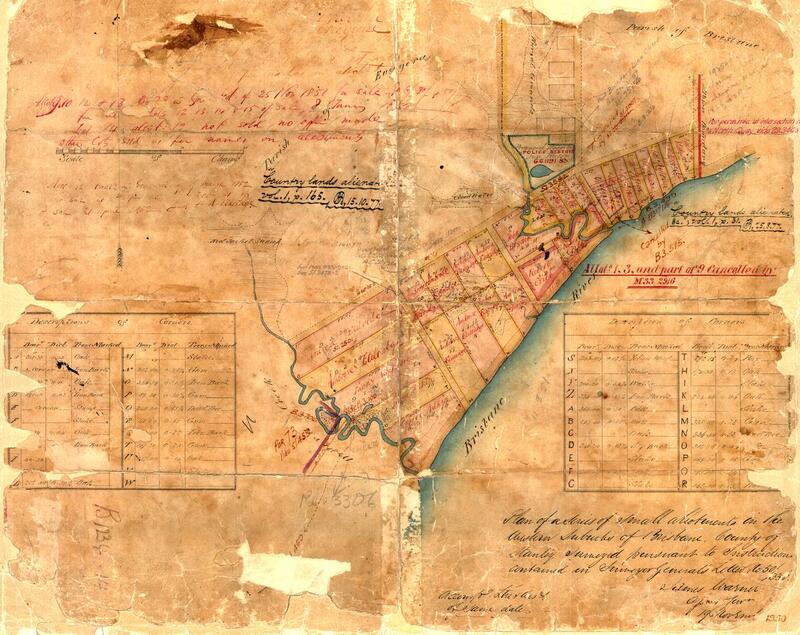 . .
A map of the Milton area in about 1850, held in the archives of the Department of Natural Resources and Mines. Plan of a series of small allotments in the western suburbs of Brisbane, County of Stanley, Surveyed pursuant to instructions contained in Surveyor-General’s letter No. 50/33. This map has featured in previous pages about the waters of Milton and the legend of the lost lagoon. The original is held in the archives of the Queensland Department of Natural Resources and Mines.